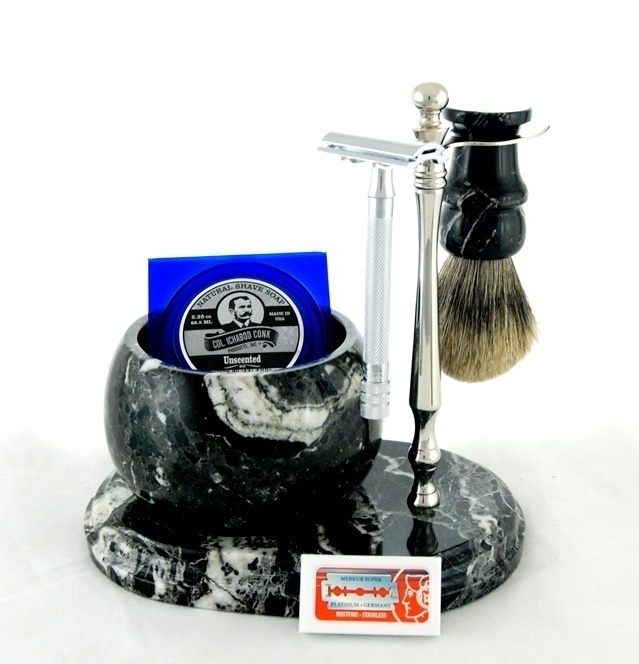 This 6 piece Shave Set comes with pure badger brush, a chrome long handled Merkur #180 double-edge razor, 5 pack double-edge blades, and Colonel Conk 2.25 oz. natural shave soap. The bowl, base, and brush handle are referred to as "Black (Zebra)" due to the many different white striations found in the metamorphosed limestone. Each piece is hand made and therefore no two sets are exactly alike!